Awesome wallpaper! Can you share? You don't need to link to an image, you can upload it here and then attach it inline. 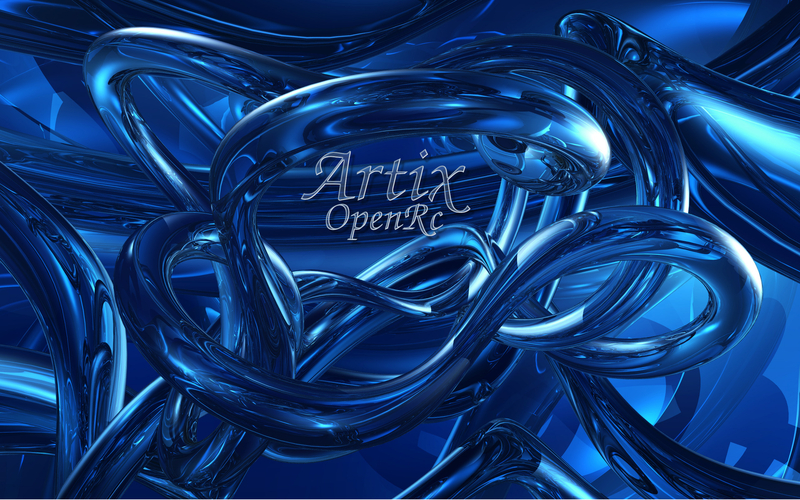 Just a simple LXQt desktop with Plank. On the panel I changed the Applications icon and added a Quick Launcher for Leave/session manager. I have some pixelated artifacts around the WiFi applet that I haven't sorted yet. It comes and goes. I wish that there was a 24 hr clock option. 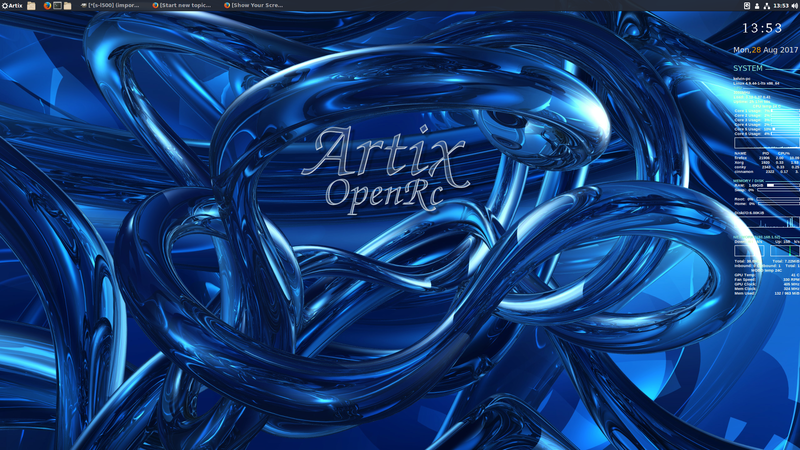 I'll migrate my Antergos Openbox config over for an Artix OB DE at some point, but right now I'm really happy with LXQt. Mine Cinnamon Artix running very well many thanks to all the devs. 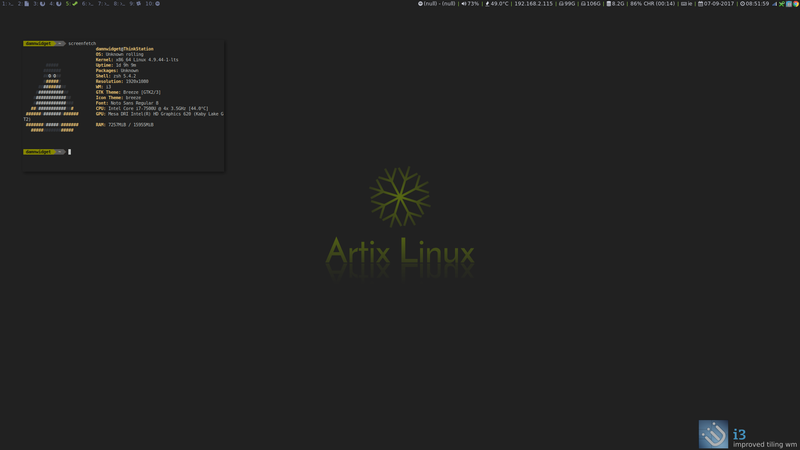 "Wer alles macht, macht nichts richtig"
Before installing Artix, i was using the most vanille Plasma config that was possible, with absolutely everything in the default Breeze Dark scheme, but since i had to switch my OS (i just reinstalled), i thought i might switch to a different theme, too. 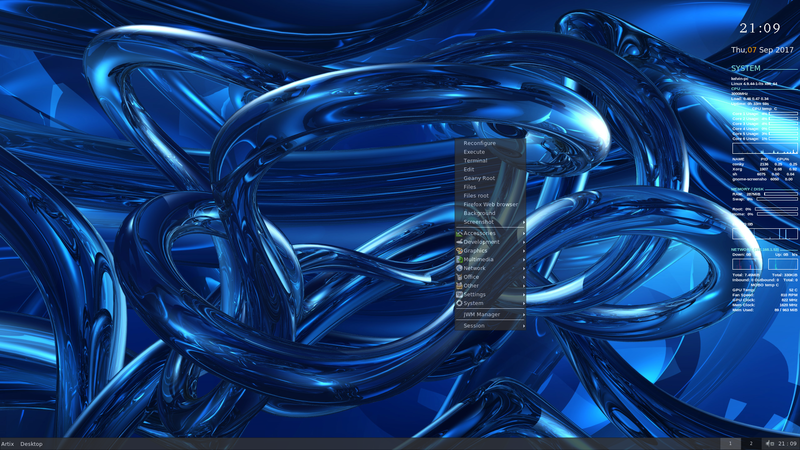 So i'm on full Papirus right now, using the Papirus dark plasma theme, color scheme and aurorae theme. EDIT: I'm also experimenting with different fonts at the moment. This is my private Thunkpad btw, i'm gonna have a different install on my machine at work soon. What is the application on the right displaying the computer's stats? I have used gkrellm since before gtk3 was a thing and it never looked as good as that program. Now, gkrellm is quite conspicuous as a gtk2 application in a gtk3/4, qt5, and tiling world.